Ninety-three thousand: That’s about how many people reside in Texas nursing facilities. Fewer people live in Galveston, Georgetown, Temple, Sugar Land and more than 1,000 other Texas cities and towns. Some of these nursing home residents rely on walkers and wheelchairs. Some can’t speak. Too many have been robbed of their memories. But they all come to nursing homes to be cared for. When making the difficult decision to place a loved one in a nursing home, family members deserve to know that the facility is adequately regulated to ensure their loved one is safe and in good custody. In Texas today, those assurances don’t exist. Why? Because the records showed multiple, serious violations in which residents experienced actual harm in at least one in four nursing facilities in Texas. And though it’s sickening to read the accounts, the state’s own records reveal incidents of untended bed sores, residents dropped and bruised, bones broken, sexual assaults and people receiving wrong or inappropriate medications. Despite the unthinkable violations taking place at nursing facilities, well-meaning state regulators have too often been unable to enforce reasonable regulations. 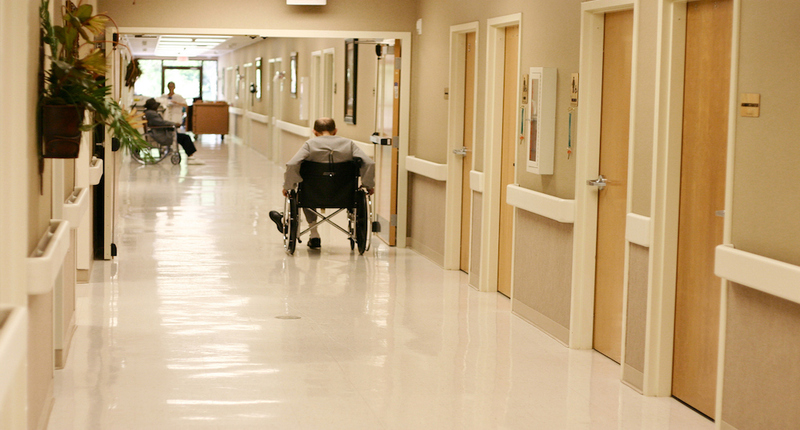 The Intolerable Care report points out that in state fiscal year 2015, the Texas Department of Aging and Disability Services cited nursing homes for more than 17,000 violations. That same year, the state took enforcement actions in only 40 cases. Our report said state officials are hamstrung by two state laws: a so-called “Right to Correct” law, and another that requires the state to defer to the federal government when assessing financial penalties. Meanwhile, Texas still ranks among the nation’s worst offenders in administering antipsychotic medications, proving that Texas is struggling after several years’ effort to get a grip on the problem of chemical restraint of vulnerable people in long-term care facilities. The federal Centers for Medicare & Medicaid Services puts Texas at 41st in the nation in the prevalence of use of antipsychotics for long-stay nursing home residents. The findings indicate that about one in five residents of Texas nursing facilities — or about 17,000 people each month — are being inappropriately given these powerful drugs, which can result in serious harm. Antipsychotics are approved mainly to treat serious mental illnesses like schizophrenia and bipolar disorder. But federal and state reports show that nursing home residents sometimes receive antipsychotic drugs for off-label uses — to suppress the anxiety or aggression that can go with Alzheimer’s disease and other dementia. For elderly residents who have dementia, medical experts and government officials say antipsychotics are only appropriate in a small number of instances. Significant medical problems are also associated with the use of antipsychotics, including higher blood sugar and cholesterol levels, weight gain, increased risk of falls and decreased cognition. These complications can lead to or worsen heart disease, cancers and other diseases known to affect older adults. While these problems aren’t new, the Legislature this year is listening — and responding. Bills have been filed — and need support from readers like you — to improve nursing home quality, reduce inappropriate use of antipsychotics and to end the state’s deference to the federal government in assessing financial penalties against nursing facilities that don’t properly care for their residents.